El Museo del Barrio, Rocío Aranda-Alvarado is currently working on A Brief History of (Some) Things, an exhibition exploring the persistence of Mesoamerican and Indigenous Caribbean imagery in contemporary Latino art. She recently organized MUSEUM STARTER KIT: Open With Care, celebrating the 45th anniversary of El Museo, and LA BIENAL 2013, El Museo’s biennial of emerging artists, as well as the permanent collection exhibition for 2013-14. Her curatorial work and research focuses on modern and contemporary art of the Americas. She is the former curator of Jersey City Museum, where she organized significant retrospective exhibitions of the work of Chakaia Booker (2004) and Raphael Montañez Ortiz (2006) and group shows on various themes including Tropicalisms: Subversions of Paradise (2006), The Superfly Effect (2004), and The Feminine Mystique (2007). Ms. Aranda-Alvarado is also on the adjunct faculty of the Art Department at the City College of New York. Her writing has appeared in various publications including catalogue essays for the Museum of Modern Art and the National Gallery, Nka: Journal of Contemporary African Art, Art Nexus, Review, the journal of the Americas Society, NYFA Quarterly, Small Axe, BOMB and American Art. 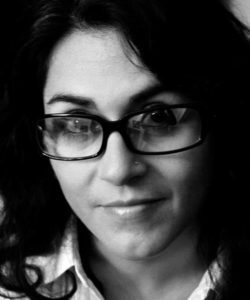 Born in Santiago, Chile, Rocío Aranda-Alvarado is Curator at El Museo del Barrio. She received degrees in Art History from Univ. of Maryland, Tulane University and the Graduate Center of the City University of New York. Her curatorial work and research focuses on modern and contemporary art of the Americas. Meredith Johnson has been a Curator and Director of Consulting at Creative Time since 2007, where she has curated such projects as Spencer Finch’s The River That Flows Both Ways, Pae White’s Self Roaming, Stephen Vitiello’s A Bell for Every Minute, and The Creative Time Art Basel Miami Beach Oceanfront Nights Program in 2010 in collaboration with the MOCAD in Detroit, Museo Tamayo in Mexico City, 032c in Berlin, and Tramway in Glasgow. She spearheaded a series of artist chef collaborations in 2011 at Park Avenue, including interventions by Marina Abramović, Paul Ramírez Jonas, Janine Antoni, and Michael Rakowitz, and in 2012 co-curated a series of ten commissioned video works for MTV’s Art Breaks, presented by Creative Time, MoMA PS1 and MTV. Johnson has also led Creative Time’s advising on arts programming nationally in such cities as Louisville, KY; Seattle, WA; New York, NY; Dallas, TX; and Chicago, IL. In addition to her work at Creative Time, Johnson was a curator at Artists Space in New York from 2007–2009, and was the Assistant Director at Minetta Brook from 2005 – 2007. 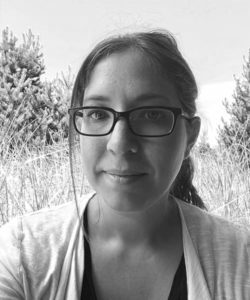 She received her BA in Art from St. Mary’s College of Maryland and her MA in Curatorial Practice from the California College of the Arts. 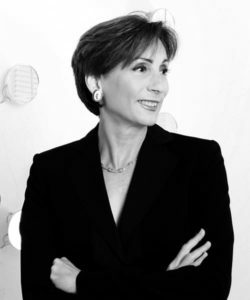 Lisa Austin has more than thirty years’ experience as fine art advisor to individuals and institutions, including 12 years as in-house curator for Southeast Bank, N.A., formerly Florida’s largest banking corporation. The firm’s practice includes private client acquisitions and corporate projects on a national and global scale. LA&A focuses on advising private individuals on the purchase of museum-quality fine art for their personal collections. As an expert in contemporary art, Austin helps collectors make intelligent decisions about the aesthetic and financial issues involved in creating collections of lasting value and importance. LA&A has also had a robust practice in corporate and institutional fine art consulting. The firm’s experience extends to multi-million dollar art programs for Fortune 500 companies and public entities, including large-scale commissions by internationally recognized artists.